What is it about seeing a Lighthouse’s that invokes a feeling that reaches deep inside of us and harkens back to a past long forgotten? 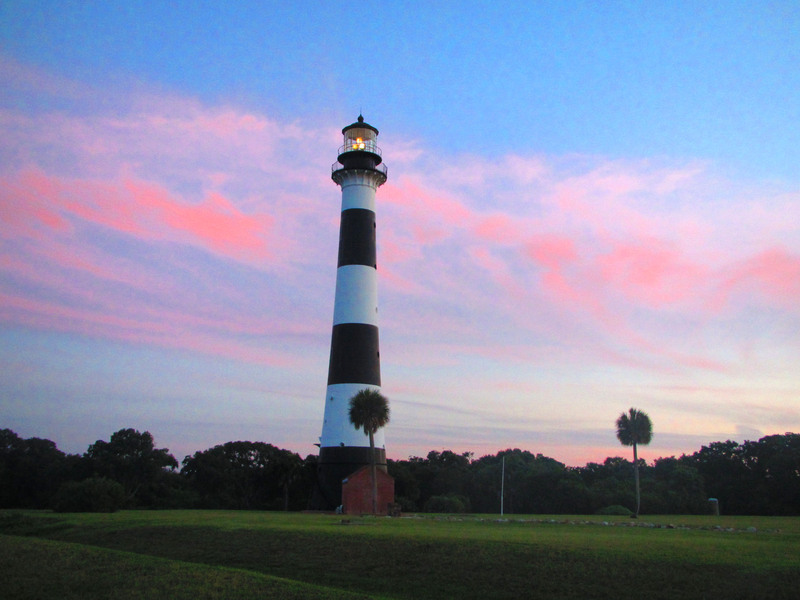 The history and nostalgia of each lighthouse and the Keepers of the light and how they played a role guiding ships that sailed along our coast during so many different periods of time. 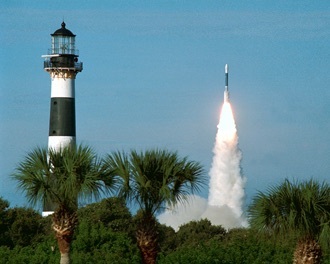 One such light sits out on the East Coast of Florida on a piece of land known more for rockets ships and moon landings. Standing tall mixed in among launch gantries that carried men to the moon the Cape Canaveral Lighthouse has stood guard and protector over The Cape for more than 140 years. 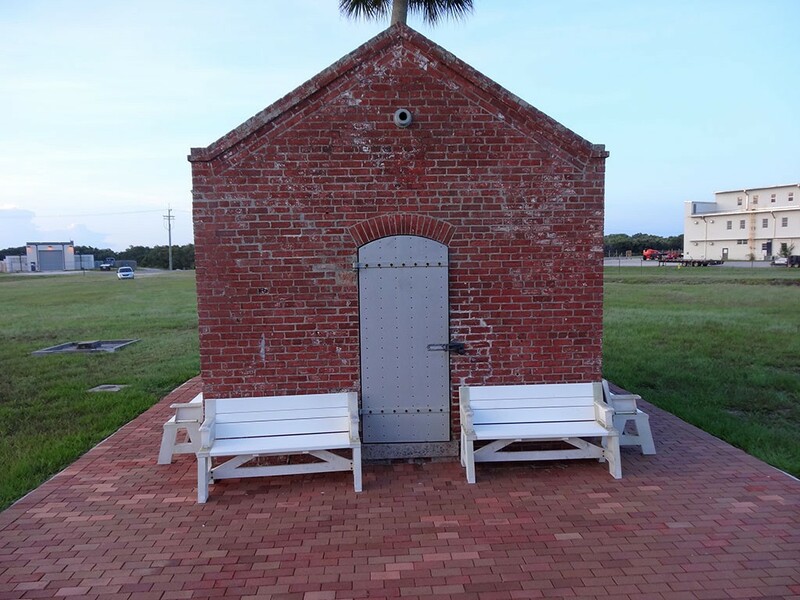 Originally constructed in 1848 very close to the tip of Cape Canaveral it was only 60 feet in height and difficult to see by mariners so a new Lighthouse was completed in 1868. 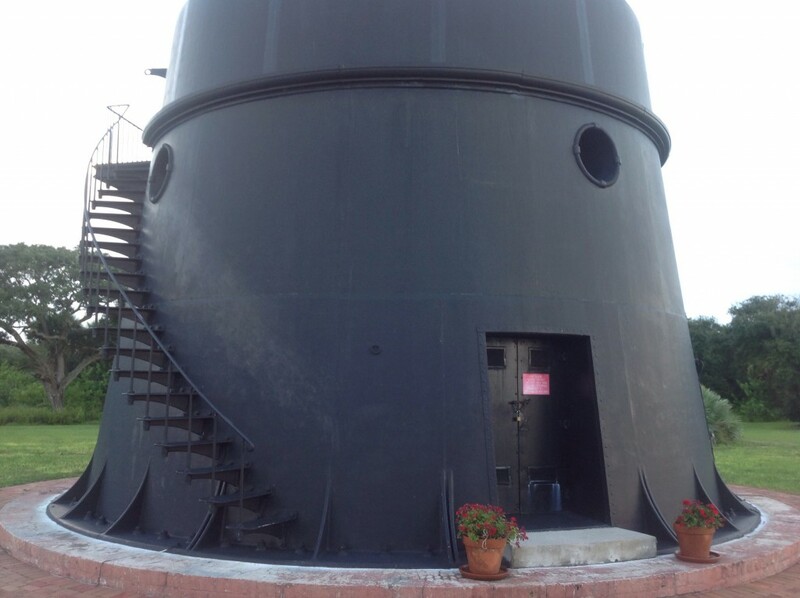 The new Lighthouse had a brick lining on it’s interior and an iron exterior. The lighthouse was originally painted white and did receive the black and white “daymark” horizontal bands until 1873 to make it easier to see as a navigation point during the day. The first three floors, which were laid out as living quarters, and were only accessible by an outside stairway that wound up to the third level. Stairs lead up the the third floor living quarters. If the sea got to close to the Lighthouse the first three floors could not flood since the stairs led up to the third floor. And that’s just what happened on several occasions thus prompting the Lighthouse to be moved in 1892. Photo courtesy of Florida State Archievs. The Lighthouse moves: Starting in 1892 through 1894 the Lighthouse was dismantled and moved to it’s new and current location about a mile and half further inland. 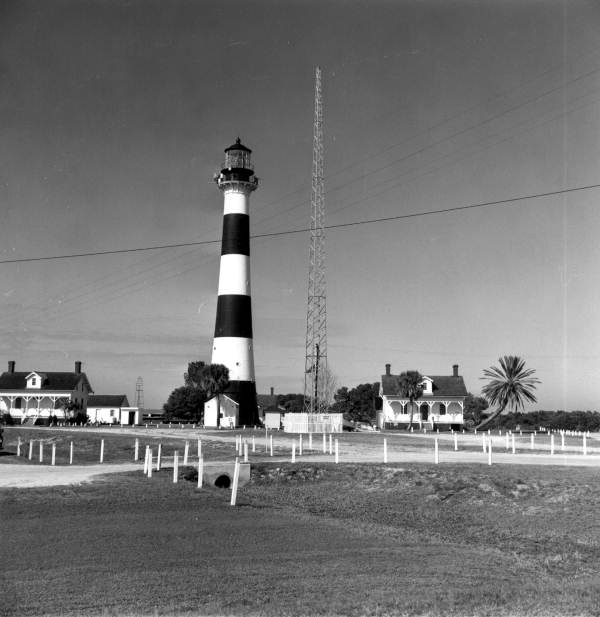 A specially constructed track was laid between the old location to the new one and the Lighthouse was moved by mule power. Surrounding the Lighthouse was the Keeper’s house and other structures including the oil house which still stands today. A recent photograph of the Oil House that still stands next to Lighthouse today. I frequent the Lighthouse often, usually in the morning as the sun rises over the Atlantic Ocean. I will have several articles about the Lighthouse in the future including the restoration of the Lighthouse in the mid nineties and the time was I was fortunate enough to climb to the top of the Lighthouse. I’ve taken thousands of pictures of the Lighthouse over the years and will be posting them quite often. Shine on Cape Canaveral Light, you have a rare place in history guarding the Cape and keeping watch over such a historic piece of land.